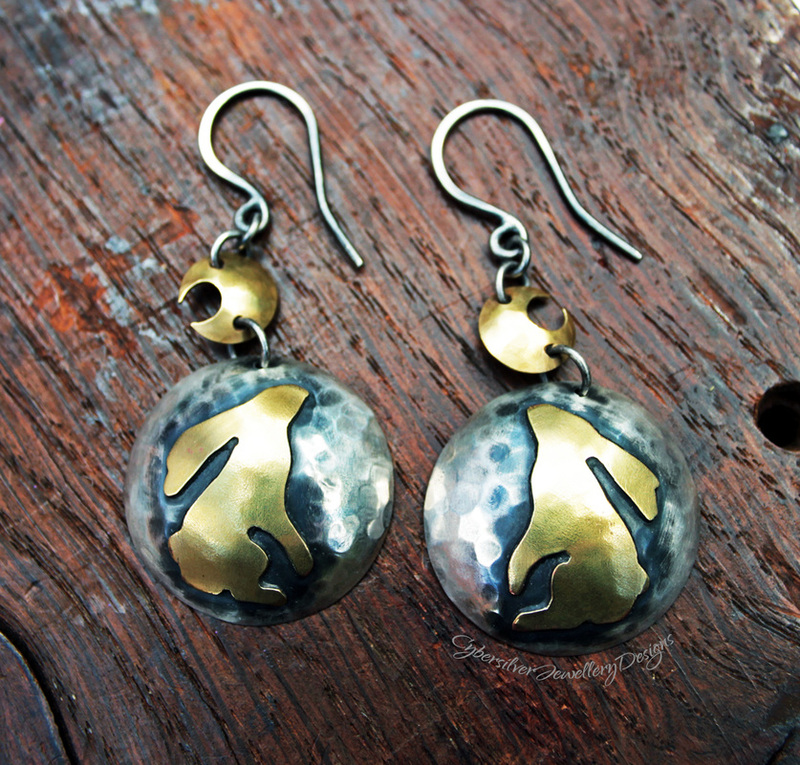 Two cute brass hares gaze up to their brass crescent moons. 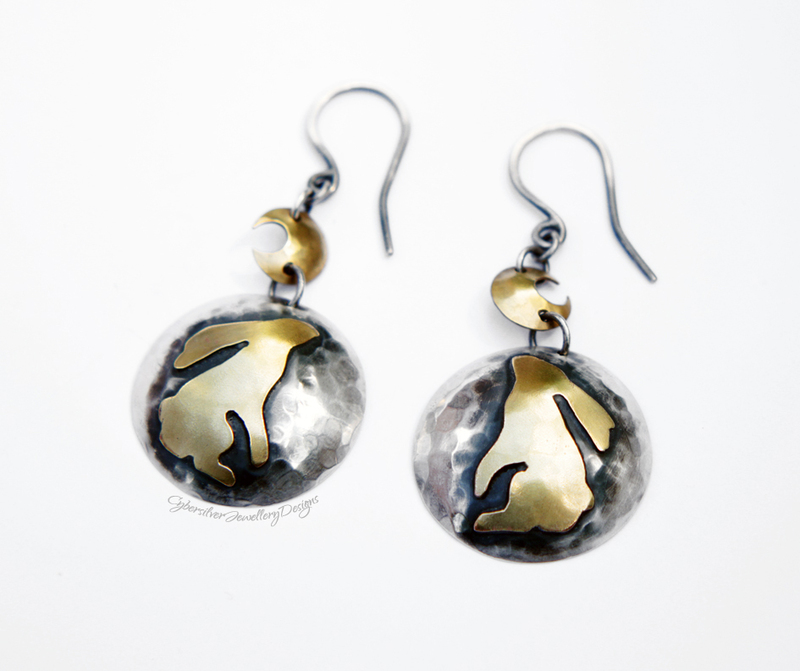 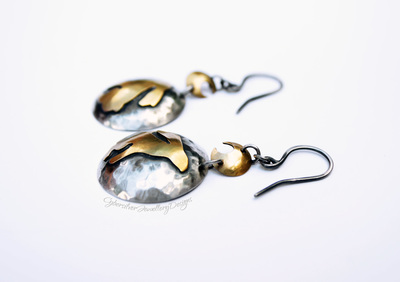 These earrings are entirely handmade - from the sterling silver domes and hand cut hares to the handmade ear hooks. Please note that each hare and moon is hand-cut and therefore not identical.